Marion Junior High School Choir presents Into the Woods Jr.
Marion Junior High School Choir presents Into the Woods Jr. on April 15-16 at 7:30 p.m. at the Marion Cultural & Civic Center. The SIH Gala will be held on April 15 from 6-10 p.m. at SIU Ballrooms and International Lounge. Participants can register online here by choosing the Marion Illinois location: https://www.crowdrise.com/runasone. The Williamson County Master Gardener’s will be set up in front of Rural King in Marion on Saturday, April 16 from 10 am until 2 pm. They will be there to answer any horticulture questions the public may have to get their garden, lawn, or landscape ready for spring and summer. The exhibit features quilts, wall hangings, inspired pin cushions, art dolls and a variety of hand crafted items. We would like to take this opportunity to invite your business or organization to participate in the “Gateway to Success," a mock job fair on Thursday, April 21, 2016. We will start the day at 8:00 a.m. in the visiting room at the Federal Prison Camp. At 11:00 a.m., we will go inside the Federal Correctional Institution (USP) for lunch and will proceed to the Education Department. We will wrap-up the day around 3:00 p.m. There is no cost for participating in the mock job fair and lunch will be provided by the institution. April 23, 8 p.m.-6 a.m.
An evening run/jog/walk starting at 8:00 p,m. and ending at 6:00 a.m. Held at the Williamson County Fairgrounds. Refreshment and support services available. Coordinated by Durbin Race Management. Local contact is Michael Ahrens (d.ahrens3@frontier.com). 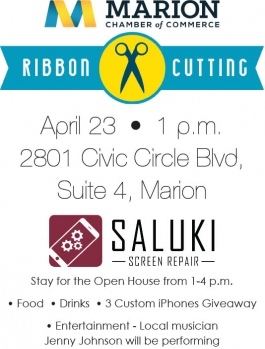 Saturday, April 23, 9 a.m.
A Ribbon Cutting Ceremony will be held at 1 p.m. on April 23 at Saluki Screen Repair, 2801 Civic Circle Boulevard, Suite 4, Marion. Guests are invited to stay for an Open House from 1-4 p.m. featuring food, drinksm 3 custom iPhones giveaways and entertainment by local musician Jenny Johnson. 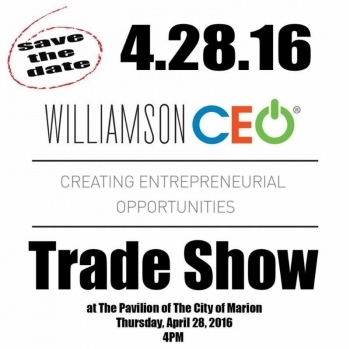 Williamson CEO will host a Business After Hours program during their Trade Show at The Pavilion on Thursday, April 28 at 4 p.m.
Auto Swap Meet at Pickers Outlet Mall with a portion of the proceeds to benefit Williamson County Fire Station 5. Free and Open to the Public. Hartley is the author of The Dealmakers of Downstate Illinois: Paul Powell, Clyde L. Choate, John H. Stelle. Books will be available for sale at the event. It’s that time of the year again to make plans for the Marion 2016 Friends For Life Graduation Spree, Thursday, May 12, 2016, a drug- and alcohol-free environment for the graduating seniors and their guests. LEAA is presenting its first Art at the Fair May 14 and 15, 2016, from 10 A.M. to 5 P.M. Admission is free to the public. This event is expected to feature artists, photographers, writers, and crafters selling and demonstrating their work. Not-for -profit food vendors, musicians, and kids' activities are also encouraged to be part of the Fair. Every quarter the Marion Chamber of Commerce Membership Committee holds a New Member Quarterly Luncheon. 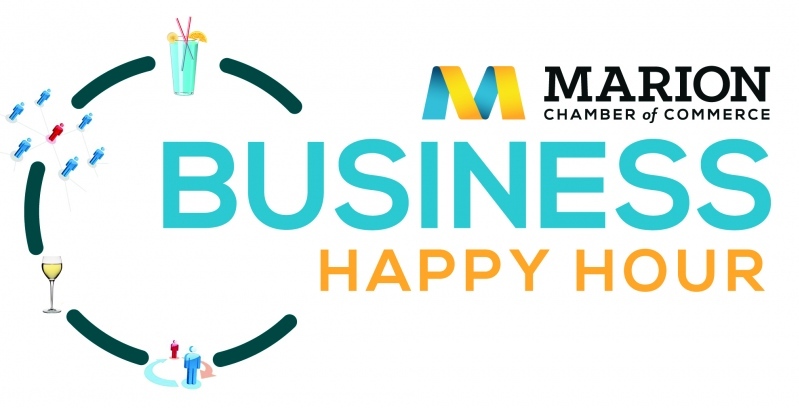 This quarter’s New Member Quarterly Luncheon will be held at noon at Fujiyama's on May 17. 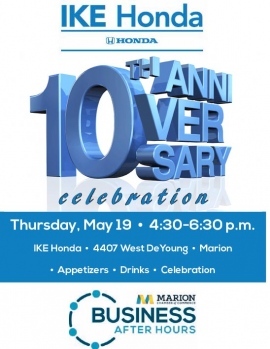 IKE Honda will celebrate its 10th anniversary by hosting a Business After Hours Program on Thursday, May 12 from 4:30-6:30 p.m.
Pepsi MidAmerica was pleased to host the annual meeting of the Independent Bottlers Association. Members of the Board of Directors across the United States flew into Marion, IL for the 2-day meeting. Article By: Crisp Container Co. Article By: HireLevel powered by Extra Help. Sponsors of the tournament include: Hill Printing, Pyramid Acres Marina, U.S. Angler's Choice and the Marion Chamber of Commerce Foundation. 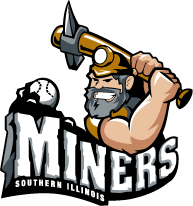 The plaque/trophy sponsor is First Southern Bank. Seniors must sign up in advance for you and your guest. There is a $10 charge at time of sign up for guest. There are no refunds. Guest minimum age is Freshman status 15-16 school year and maximum age is 21. ALL information on the registration form must be filled out for you AND your guest. 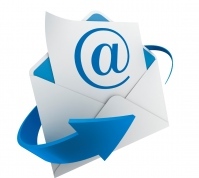 If your guest should change, you must notify the Chamber Office by May 9.